Thanks for all who participated - donations are still welcome! Sequoia Audubon's Seventh Annual Big SIT! will again be at Pescadero State Beach and Marsh Natural Area. JOIN US IN 2017 and be a part of sedentary ornithological history! 2016 SASsy Seawatchers looking around. The BIG day…not quite as you've heard it described before! You report birds, AND you decide how! Or, You could get stay fit as you bike the hills and dales of the San Mateo coastline. The SIXTH ANNUAL BIG SIT!, and SECOND ANNUAL BIG RIDE! have arrived! The Big SIT! Sunday October 8, 2017, at Pescadero State Beach and Marsh, atop the hill overlooking the North Pond, accessed using the bridge that Sequoia helped to fund. Officially the day begins at 8:00 am – contact Jennifer Rycenga for more information for early bird birders! We go until at least 5:00, sometimes 6:00 pm. Bring layers, snacks, and a fun attitude. If you've got a scope, bring that, too. The Big SIT! is an annual celebration now for Sequoia Audubon, the birding equivalent of tail-gating, as we search for as many species as we can see from a 17.5 foot diameter circle. We've seen, on average, over 85 species each year we've done this – and created memories, found migrants, and eaten some really delicious food! 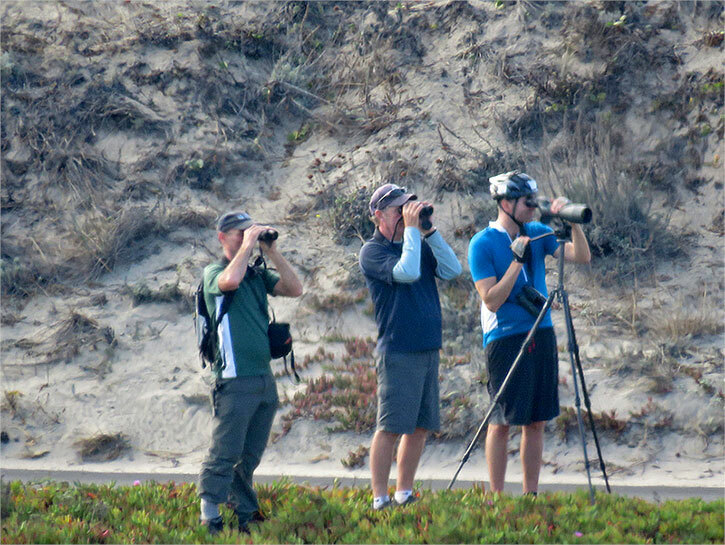 The Big Sit is an all-day birding event, in which bird-watchers try to see as many species as possible from one designated spot. 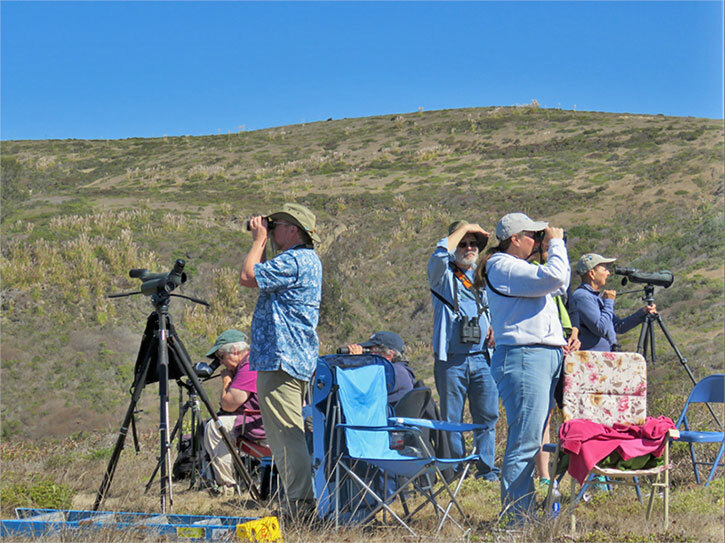 Each year Sequoia Audubon Society fields an open-ended team of birders — dubbed the SASsy Seawatchers — for this international event. Our chosen spot is typically the observation area at the top of the hill overlooking the North Pond at Pescadero State Beach. This hill can be accessed using the new bridge that SAS helped purchase and install. The SASsy Seawatchers — a team of friendly, skilled, and fun-loving birders, including (we hope) YOU — will be on the hillside all day, spotting bird species and having a grand rollicking time doing so. There will be a table with food and drink, and radios to listen to football and baseball playoff games, lots of people with cameras to take pictures of the birds and the birders. Be there! You can show up at any hour, and you can stay for as long or as short as you like. Anyone, of any skill level, can participate. You can be a part of the bird-watching team, helping to accumulate a high team species total for the day. You can also pledge an amount per species seen; e.g., if you pledge $1.00 per species, and the team sees sixty species over the course of the day, your pledge would equal $60.00. Third, you can help collect pledges towards the event's total. You can do any combination of these three activities, too, even all three of them! Enthusiastic participation is encouraged: let's help the birds we love! All the funds raised in this pledge drive stay right here in San Mateo county, to aid in Sequoia Audubon's mission: protecting native birds and other wildlife and their ecosystems by engaging people of all ages in conservation, education, advocacy and enjoyment. More on the Big Sit! This is an event in which birders detect as many species as possible from within a 17.5 foot diameter circle. Described as "the equivalent of a tail-gating party for birders," the Big Sit not only creates birding camaraderie, but it also helps us to learn one location very very well! 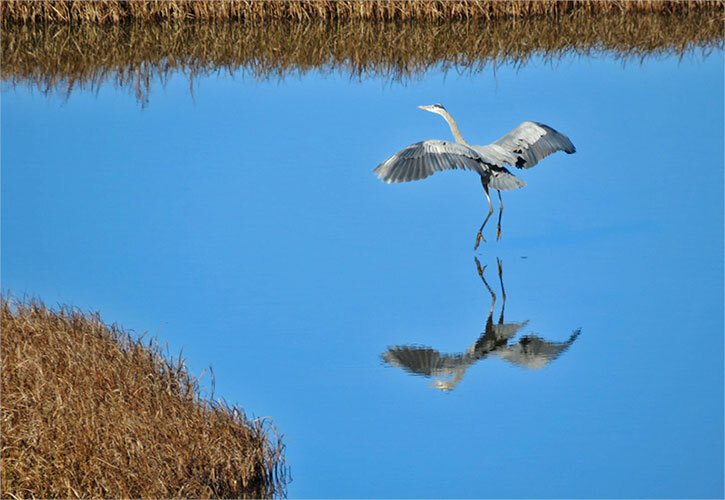 See Bird Watcher's Digest for past results, the rules, photos, and the light-hearted dimensions of the event. Enjoy the fun, be a part of the SASsy Seawatchers, and help Sequoia Audubon Society to help the birds. The Big Sit!™ is hosted by Bird Watcher's Digest and New Haven Bird Club and is sponsored by SWAROVSKI OPTIK. The Big Sit! is a registered trademark of the New Haven Bird Club, Inc.